Friendship Day is celebrated to respect the immortal relationship of friendship. Know all about Happy Friendship Day 2008. Friends are priceless assets of our lives. Friendship is a relationship that can't be defined by words. The immortal relationship of friendship renders us speechless when trust, loyalty, understanding, moral support, empathy, intimacy, conflict and anger are shown by our friends. Friendship is a unique bond that is signed for our lifetime! Friendship Day celebrates this exceptional bond of humankind. It is a day when we let our friends know how much they are valued and needed in our lives. International or National Friendship Day is celebrated on the first Sunday in August every year. This year i.e. in 2008, it will be celebrated on 3rd August. 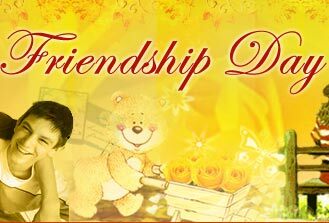 On Friendship Day, the marvelous feeling of friendship is expressed in myriad ways, such as gifts, cards, flowers, poems, thoughts, friendship quotes, friendship SMS, cookies, chocolates, souvenirs, a tape of favorite songs, dinners and welcome balloons. Friendship Day parties are also arranged to celebrate the day in a dashing manner. Friendship Day is a golden opportunity to get back to our long lost friends. Old friends, separated by geographical distances, are often called up on this day to rejuvenate their friendship. Many people choose Internet to get back to their old friends. 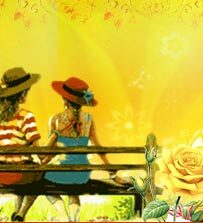 They send nice Friendship Day e-cards to express love and warmth for each other. Friendship Day is a great day to express our appreciation of the alliance with our school pals, work colleagues, siblings, partners, parents, neighbors and cyber friends, in short all those who have played the role of friends in different stages of our life.